Here’s where it pays to be that weird picayune breed that I belong to, the reader of dictionaries. By the way, the “dollar” word has the /t/ sound we expect when an English /d/ gets borrowed into a Pacific Northwest language. Pretty universally you’ll find this de-voiced /d/, as something like tala in all the Salish languages I can think of at the moment. So why the /b/ in “10 cents”? We’d expect a devoiced /pit/ here, by the logic I just used…but at the time when Chinook Jargon and English were spreading along the PNW Coast in the 1800s, many many Native languages had a kind of free variation where /m/ sounds often came out sounding a lot like [b]. George Gibbs’ 1863 Vocabulary of the Chinook[an] Language is an example that has lots of “b” where we know an “m” was intended. Likewise, in much of the Coast the English/CJ word “bit” (as in “two bits” etc.) was understood by Native ears as intended to sound like “mit”. The Lushootseed borrowing of this, therefore, went on to take part in that language’s 1800s sound shift of nasals into oral stops — in other words, to sounding like the speakers had head colds. So m’s became b’s, and n’s became d’s. The original borrowed form “mit”, in this way, became “bit”, only by coincidence resembling the original English word! In a decade of reading this dictionary, this word never looked odd to me for a minute. Today I see it with other eyes, somehow. Could this be made of two parts, the native Salish noun-making prefix s- + a borrowed English “picayune”? This idea seemed too weird to be true. So naturally, over to Google Books for a look at 19th-century use of “picayune”. Boom! Direct hit. 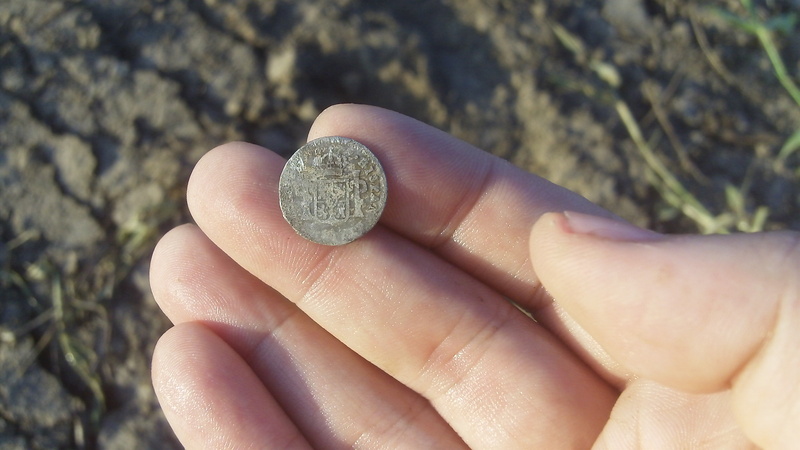 A periodical titled “The Numismatist” XIII:5, May 1900, has an article on “Colloquial Names of Coins” centering on this word, where page 135 says the old half-dime coin was called a “picayune” in Illinois, ascribed to Missouri French influence. This seems to have been in the 1840s or 1850s. The earliest published book that I find to use this term yet is from 1869, but as noted, “picayune” was in circulation in the earlier decades when Native-White contact was at arguably its most intense. 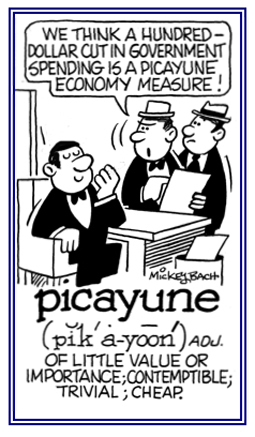 Hi Dave, In “A Glossary of Mississippi Valley French” by John Francis McDermott, 1941, on page 116 the word is listed as ‘picaillon’ or ‘picayon’ and its first definition is “A picayune’. The definition describes it as 1/2 of a bit or ‘escalin’. FYI: The term ‘escalin’ is still used in Cajun and Missouri (Paw-paw) French but only as ses escalin (6 bits) for 75 cents. Nice reference there, Jim, I love that McDermott book and consider it authoritative. One source that I found via Google Books (or maybe Google News, it was late late late last night) claimed a Spanish original source for ‘picayune’. Lots of New World history wrapped up in Chinook Jargon, eh? George, I’m so glad to see you here. If you have a minute, maybe you’d like to look at the post I wrote about ‘tapahote’ in Ms. 195 [Ball]. You’d surely have an opinion about my thoughts there!